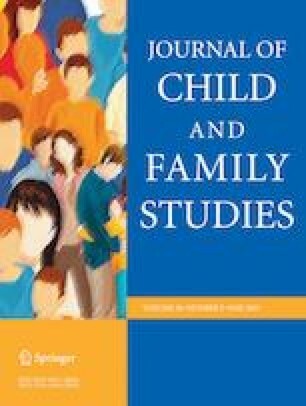 A growing body of evidence suggests that parental offending may be linked to poor physical health, mental health, and drug use problems in offspring. However, previous systematic reviews have limited their scope to the association between parental incarceration and child substance use and mental health problems. We extend this research by conducting a systematic literature review on the impact of any parental offending, more broadly, on child physical and mental health outcomes, including drug use problems. We searched relevant electronic databases and the reference lists of previous reviews for research examining the relationship between parental offending, excluding studies focused on incarceration alone, and health outcomes in offspring less than 18 years of age. Our search identified 1279 unique studies, 19 of which met the criteria for inclusion. Across this literature, associations were found between parental offending and poor physical health outcomes in young children and, more robustly, drug use in adolescence. The associations between parental offending and child health outcomes, particularly for child mental health, were found to be at least partially explained by other factors, such as child maltreatment and abuse. However, owing to methodological limitations, conclusions regarding the causal impact of parental offending on child health could not be confidently made. Parental offending may be useful marker for identifying children at risk of poor health outcomes who may benefit from intervention. TW contributed to the design of the study, conducted the literature search and study selection, performed the data extraction, quality assessment, and drafted the manuscript. MB contributed to literature search and study selection, and the drafting and editing of the final manuscript. ST contributed to the design of the study, study selection, and the drafting and editing of the final manuscript. KD contributed to the design of the study, and the drafting and editing of the final manuscript.